Gone are the days when there was one common way to pay for services. Although the options can seem confusing, you may find that one suits your business better than the others. As you are shopping around, reference this list of common pricing models for further understanding and clarification. In some cases, however, pricing may not be specified or could be hard to find; but, it’s important for you to know which pricing models each provider offers before making a final decision. The easiest and most reliable way to choose which best serves your business, is by meeting with a Managed Services Specialist. A monitoring only solution is fairly self-explanatory. Your service provider simply monitors specific aspects of your business IT, remotely, through software installed on your devices. They'll monitor and alert you of issues that arise, and any solution support is likely to cost extra. Think of this as the preventative package. This service solution is typically used by larger businesses that already have a strong IT team, but they need assistance with 24/7 monitoring. With this package, you're getting the bare minimum; though, if you aren’t effectively monitoring your business IT infrastructure, this is a great place to start. A tiered package typically lays out several different levels, allowing a business to somewhat customize their desired service level. These predetermined service levels define which services are included, for the set price. For example, think of your cable and internet company's offering – they offer a variety of phone, internet and cable packages with different features, for different prices. Unfortunately, tiered pricing does have one major downside – the difference between tiers may not benefit the services your business requires. So you may end up choosing a tier that has too many services, for a higher price, or a tier that doesn’t include all of the services that you need. Tiered pricing really only works well if all of the coverage you want is contained in one tier. The best way to think of this option is to think of a restaurant menu; you only pay for what you select. This option offers the maximum amount of flexibility. Unfortunately, this freedom comes with a cost. Bundled options (think of the tiered packages above) frequently come with discounts, but with A ’la Carte pricing there is no bundle. Typically, you pay the full amount for each individual service you want. This option can be best for businesses that feel they don't need much support. The tricky part of this option is ensuring the right components are selected for the coverage you require. The per device option is exactly what it sounds like – you're paying a different amount depending on the number of devices you include in your managed services plan. So, the number of devices in your IT infrastructure determines how much your managed services are going to cost. 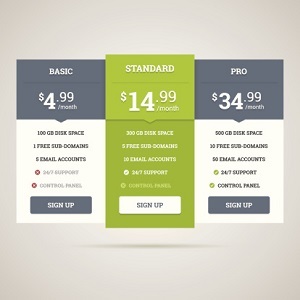 The per user pricing model is the most flexible, and arguably the most well-rounded. With this model, your business pays based on the number of users. The more users you have, the more you pay – the services remains the same, but extend to all included users. So, if your number of employees changes, it is easy to adjust your investment. This means that a business with two employees can expect the same level of service as a business with fifty employees. Knowing the pricing model varieties that exist can make you a more educated buyer. You'll be able to understand provider’s options and discuss which is right for you. The next step is determining which services to include – and Managed IT Specialists can help with that.